Pedro Veniss of BRA riding Quabri de L Isle. Photos © Spruce Meadows Media Services. Calgary, AB, Canada – September 12, 2015 – The Spruce Meadows ‘Masters’ Tournament hosted its $300,000 BMO Nations’ Cup on Saturday afternoon, with eight countries represented, and an exciting gold medal win for Brazil in the team’s first time ever competing in the event. The team of Pedro Veniss, Felipe Amaral, Eduardo Menezes and Rodrigo Pessoa jumped to victory in front of a record crowd for Saturday at the ‘Masters’, with a grand total of 85,747 fans in attendance. France earned the silver medal, and Canada took home Bronze. Watch highlights from Saturday’s competition at the Masters. Earlier in the day, Scott Brash (GBR) earned top prize in the $126,000 Suncor Energy Cup Winning Round 1.50m riding Hello Forever. The ‘Masters’ Tournament concludes its fifth day of world-class competition on Sunday, September 13, featuring the $1.5 Million CP International, presented by Rolex. One of the most prestigious grand prix events in the world, the CP International is part of the Rolex Grand Slam of Show Jumping, where Brash will attempt to become the first rider to ever take the Grand Slam title. 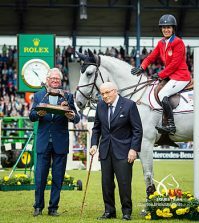 Brash already made history by winning two consecutive legs of the challenge with victories at CHI Geneva in December followed by a second victory at CHIO Aachen a few months later. An unprecedented €1 million in bonus money is on offer to any rider who can win all three grand prix events in succession. On Saturday, teams representing the countries of The Netherlands, Great Britain, France, Switzerland, Canada, Brazil, Belgium and the USA started in the first round of the BMO Nations’ Cup. The top six teams then returned for a second round over the same course, which was set by Venezuela’s Leopoldo Palacios. The competition came right down to the wire, but it was Brazil who led in both rounds, with nine faults in round one and four faults in round two to finish on a score of 13. France finished with 16 faults overall, and Canada ended with a score of 24. The youngest rider on the team at 23 years of age, Felipe Amaral rode the 12-year-old Zangersheide stallion Premiere Carthoes BZ (Carthago Z x Voltner) to a clear first round, and the drop score of eight in round two. “I started riding him in Brazil and he had some good results. Then I went to Europe and Rodrigo and Jean (Chef d’Equipe Jean-Maurice Bonneau) helped me a lot with the horse. Now we are here at the top level of the sport and it is all a dream to be here,” Amaral acknowledged. Eduardo Menezes and Quintol were the drop score in round one with 24 faults, but returned for a four-fault score in round two. Menezes has also had great results with the ten-year-old Oldenburg gelding (Quintender x Cento) in past competitions at Spruce Meadows. As the anchor rider, Rodrigo Pessoa had nine faults in round one, but jumped a clutch clear track in round two to secure the team victory. Pessoa was riding his 11-year-old Hanoverian gelding, Status (Satisfaction x Sao Paulo), who he has had for two years and also jumped in the 2014 World Equestrian Games. The most experienced rider on the team, Pessoa knew that he needed to come through for his teammates at the end, and ranks this win among his many big victories at Spruce Meadows. The riders from Brazil were led by Chef d’Equipe Jean-Maurice Bonneau, who was thrilled with the results and explained how he has worked to improve their strength as a team. Brazil has the Olympic Games in their home country next summer and Bonneau is working to develop more riders to round out their options for the big event. The team from France finished second with 16 faults in round one and a clean slate in round two. Jerome Hurel and Quartz Rouge were the only other combination to complete double clear rounds. Roger Yves Bost and Quod’Coeur de la Loge notched eight faults in round one plus eight from Cedric Angot and Saxo de la Cour. Kevin Staut and Qurack de Falasie HDC had the drop score of 20 in round one and did not need to return after all three of his teammates cleared the second track. They were led by Chef d’Equipe Philippe Guerdat. Canada placed third overall with a 24-point total (12 in each round). Yann Candele and Showgirl, Tiffany Foster and Tripple X III, Eric Lamaze and Fine Lady 5 and Ian Millar aboard Dixson all had four faults in round one, with one drop score. They continued on to round two where Candele had the drop score of eight faults and the other three riders all had one more rail. They were led by Chef d’Equipe Mark Laskin. 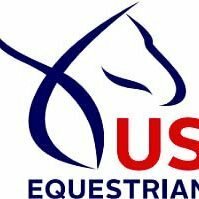 Fourth place went to the USA with 28 faults total, fifth place was awarded to Switzerland with a 30-fault score, and Belgium finished sixth with a score of 32. The team from Great Britain finished seventh and The Netherlands placed eighth. 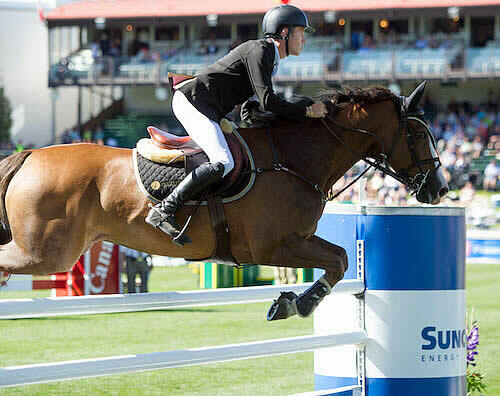 Leading into the biggest day of his career with the chance to make history in the Rolex Grand Slam of Show Jumping, Scott Brash (GBR) picked up a confidence boosting win in the $126,000 Suncor Energy Cup on Saturday at the ‘Masters’. Held in a winning round format over a 1.50m course set by Venezuela’s Leopoldo Palacios, 28 entries started in round one. The top ten competitors were then invited to return for the winning round, in which they begin again with zero penalties. The combination that has the fewest faults in the fastest time in the winning round is the winner. As he makes his bid for history with top mount Hello Sanctos, Brash also brought nine-year-old Oldenburg gelding Hello Forever (For Pleasure x Nimmerdor) to compete this week. The pair completed the fastest of six clear trips in 40.73 seconds in the winning round to take top honors and the first place prize of $41,580. Great Britain also finished second as Guy Williams jumped clear in 41.03 seconds aboard Casper de Muze in the second phase of competition. USA’s Hardin Towell took third place honors riding Jennifer Gates’ Lucifer V through the timers in 41.99 seconds, and France’s Jerome Hurel placed fourth in 43.21 seconds riding S.A.R.L. Ar Tropig’s Ohm de Ponthual. Brash has only ridden Hello Forever for about eight months, but the duo has already formed a fantastic partnership that includes wins on the Global Champions Tour in Miami and Valkenswaard. 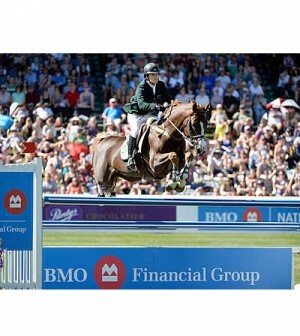 Brash explained that Forever has been a bit inconsistent throughout the year, however, and he brought the horse to Spruce Meadows specifically for the experience in a large grass arena. 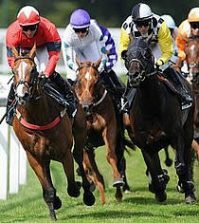 The nine-year-old Oldenburg gelding (For Pleasure x Nimmerador) is owned by Lord and Lady Harris and Lady P Kirkham and was purchased from Stuart Harvey in England. Speaking of his round in Saturday’s competition, Brash explained that Hello Forever jumped the 1.60m track on Friday and had a bit of bad luck, so he chose to drop the horse down a level and give him a good final day. 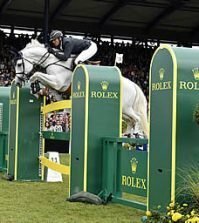 The ‘Masters’ Tournament concludes on Sunday with the $1.5 Million CP International, presented by Rolex, where all eyes will be on Britain’s star duo. Brash rode Hello Sanctos on Saturday and declared that the horse felt good and ready to go. “It will be nice to get on with it now and go and do our job,” he said of the anticipation. The $1.5 Million CP International, presented by Rolex, will begin at 12 noon. 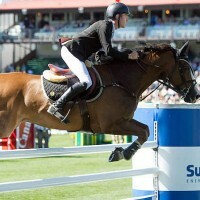 For a complete tournament schedule and full results, please visit www.sprucemeadows.com.